A Goan restaurant where the best dish is an okra one is to be avoided at all costs in my books. A couple of colleagues and I had finished a meeting near the Bombay Stock Exchange. We were three hungry men on the prowl. We disdainfully walked past an Udipi, Anna Leela. Our South Indian refused to go there. Too close to home for comfort. We walked past the newly opened Shangh Dynasty and Wich Latte and headed towards Soul Fry Casa at Fountain. We thought it was a seafood place. Turned out to be a Goan place. Even better. The ambience was quite nice. Had a classical Goan Portuguese feel to it. 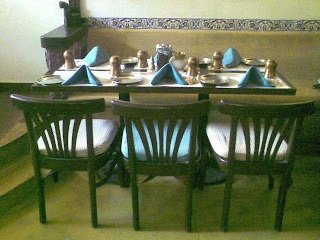 Only one or two other tables were occupied. In lunch hour in Mumbai's core business district! Warning sign no 1. I scanned through the menu. No pork! Warning sign no 2. 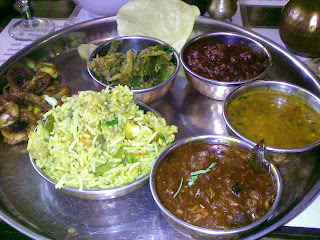 Ashish pointed out Goan thalis. Seemed like a good deal (Rs 249/ 5 USD). One chicken dish. One fish dish. One fried Bombil. Roti and pulao. And fried okra. Dal. We went for it. I called for a sol kadi to drink. This Konkan blockbuster of an appetiser was served in a wine glass instead of the usual stainless tumbler. Tasted insipid. Warning sign no 3. The food came. I started with fried okra. Deep fried. Not crisp, unlike what the menu described it to be. It was served in a dessicated coconut base. It was nice. The fried bombil turned out to be fried calamari. They had told us about it. Decent again. I turned to the 'chicken' vindaloo. I knew that this was insulting the legendary pork dish. But we are liberal folks. What we won't accept is a thick, cloudy, congealed gravy instead of the usual sharp, fiery sauce of a good vindaloo. Or tough, fossilised pieces of chicken in a dish renowned for tender pieces of meat. Fossils? Wait till you hear about the prawns in the prawn balchao. Ample no doubt. Rubbery. Smokey. Left uneaten. Again the sauce was a slap on the face of all respectable balchaos. The rotis were nice. The pulao ... clammy, filled with ungainly chunks of cauliflower and paneer. Unlikely to be eaten by any Goan. Or food lover. I am passionate about Goan food and have high standards. Likely to be less forgiving. But Ashish (same except shark ambotik instead of prawn balchao), who hadn't had breakfast, didn't take the food either. He said that one could not distinguish between the spices. The substandard fare here didn't work for us. Life is all about making choices. We had made the wrong one that afternoon. Don't you hate when that happens? and I caould understand if it was a standard Multi cuisine restaurant one randomly walks into , but how does one have a speciality restaurant and then not bother to keep up standards?! New Martin's an old Goan restaurant near Strand Cinema,austere in its bearings, but with lovely Goa Sausage Chilly Fry and Steak. 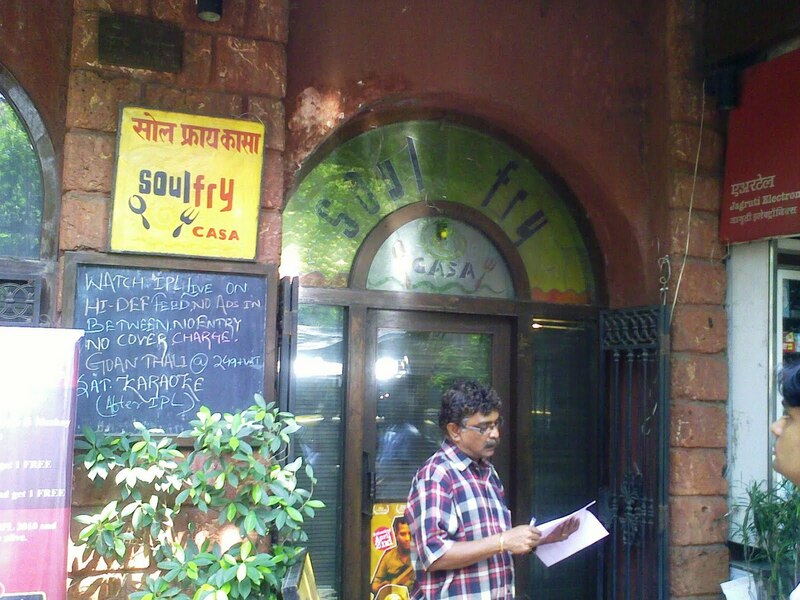 How is Soul Fry at Pali Hill,opp Sante? This is nothing like Goan food. 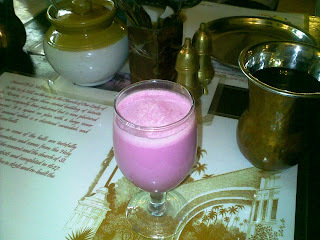 I am a goan and I hate it when people mess with my fish or sol kadhi.. I'm surprised because this place is also run by Meldan D'Cunha (Soul Fry Bandra guy), though I've never been there myself. I will let him know next time I run into him. But truth be told K, I've never had Goan food in any restaurant (not even in Goa, not even at places like Martin's) the way it's cooked at home - the way my granny and all the other grannies make it. Which has led me to believe that true Goan food simply cannot be prepared in the kitchens of a restaurant - however good the cook is. And let me tell you Meldan's a damn good cook! @Vandana, it's been ages. Welcome back. Agree with you in that thier food is not the best Goan fare that side of town. Martin's would have been a far better choice any day. But they do make good bombil fry. From whatever I have had there, the prawn dishes are all generally avoidable. 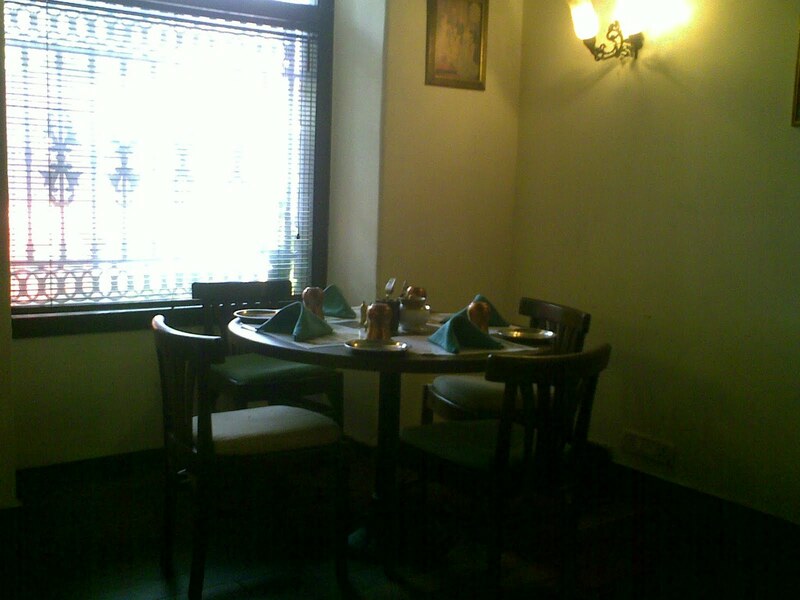 On a tangent, for coastal fare (actually Mangalorean stuff), you could try this place called Fountain Inn. Good. @S: The thing about Martins is that it is meant for food lovers. Small, spartan and too hot in the afternoon for an in between work lunch.